Jaguar's hand-built Project 8 sport sedan, based on the XE, boasts a top speed of 200 mph and a 0 to 60 mph time of 3.3 seconds. There are the obvious reasons why Jaguar would want to build Jaguar XE SV Project 8 high performance sedan: infinite opportunities for marketing and magazine covers, the performance halo from a 592-hp car, a chance for dealers and the brand to reward favored clients. But there's a less obvious motivation that Jaguar hopes will pay dividends down the line: on-the-job training. 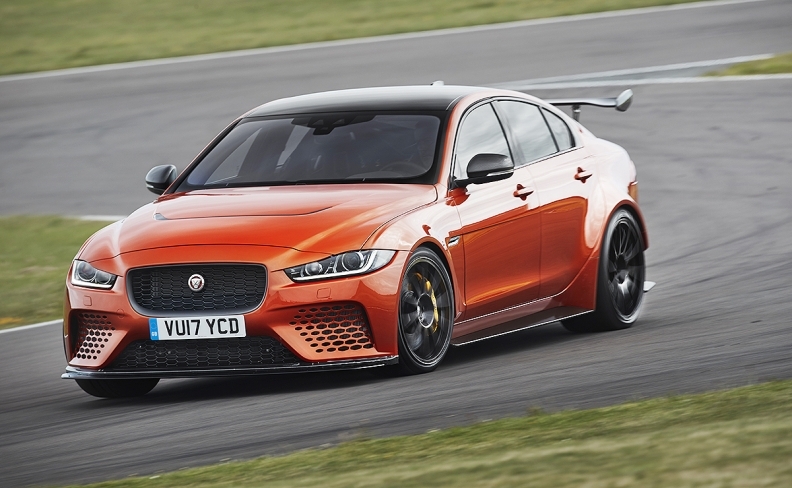 The Project 8 is overseen by Jaguar Land Rover's Special Vehicle Operations in Coventry, England, the division responsible for limited-edition variants such as Jaguar's F-Type SVR and Project 7, the Range Rover Sport SVR and the Range Rover SVAutobiography. The hand-built Project 8 is a limited-run series of 300 cars, costing around $190,000 each (the program is profitable, the company insists). It's based on the more mild-mannered XE, Jaguar's compact sport sedan. But the XE was never designed to hold a V-8 engine of any kind, certainly not the surly 5.0-liter supercharged unit in the Project 8. Neither was it designed to hit 200 mph (322 kph) or do 0 to 60 (97 kph) in 3.3 seconds, abilities promised by the Project 8. Getting there required creativity and elbow grease from Dave Foster, SVO's product creation manager — the engineer overseeing the XE's Clark-Kent-to-Superman-like transformation. "It's been a significant challenge," Foster told Automotive News, with classic British understatement. The front of the car is longer to fit the larger wheels and tires. The engine compartment has been reorganized and the bulkhead moved to make space for the engine, cooling system, brake lines and engine harness. The floor of the trunk has been raised to make room for a differential cooler that wasn't planned on the base XE. And of the body panels on the Project 8, only the front doors and roof carry over from the regular car. Everything else is custom — and functional. "It's not a cosmetic exercise," Foster said. "Every vent is doing something. Every surface has been designed to complement the drag and the aero and the lift requirements." The net result, besides a YouTube-ready tire-shredder, is a team at Jaguar Land Rover's SVO division that can handle daunting vehicle upgrades in the future. "What it's done for Dave's team is put a lot of skills back into the business that will affect future performance car programs," said Dan Connell, SVO's head of communications. Looking ahead, JLR has given itself room to give SVR or even Project treatment to any nameplate in its lineup, which is expanding to include the Range Rover Velar, Jaguar E-Pace compact crossover and the all-electric I-Pace. 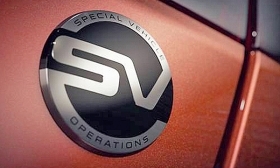 The point of such a limited model wouldn't necessarily be to shoehorn in the largest engine possible and crank up the power to 11 — a tactic favored by BMW's M division and Mercedes-AMG — but to find the inherent strengths of a JLR vehicle and use SVO to highlight them, Connell said. "We just look at what can we do that clients of a very specific nature would want. It just depends on what's happening at the time and what technology we have available," Connell said. "So there are no rules. Anything is possible."